Dr. 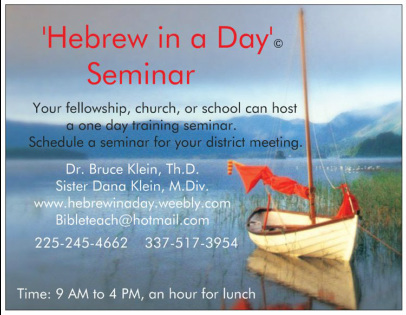 Rabbi Bruce Klein, Th.D. and Dana Klein, M.Div. Alphabet, Reading Hebrew, Vocabulary, Basic Hebrew Grammar and the usage of Hebrew tools to study the Bible in ancient manuscripts. Please click on the picture for the website.